Well, it has been a busy few weeks in the tropics with hurricanes Harvey, Irma, Katia, and now Jose meandering around the Atlantic Ocean. (Speaking of Jose and its track forecast, while the 75-mph storm may move back toward the US East Coast this weekend or early next week, as of right now it most likely will stay offshore). Perhaps not surprisingly, the Atlantic season reached its “peak” of activity on Sunday. As you can see, however, a good bit of activity historically continues into early November. But for Texas it’s a different story. I am not ready to declare an end to the Texas hurricane season, but long-time readers will recall that after Sept. 24th the chance of a hurricane hitting the state are historically quite low. Moreover, forecast models show little to no tropical activity in the Gulf of Mexico for at least the next week or 10 days. So we’re getting close to that date, and after Hurricane Harvey we’ve certainly had enough of the tropics for awhile. I’ll post later this month when I think we’re all clear on the tropics front. Now let’s take a look at our forecast for the next week. Oh, what a glorious morning. Lows range from the upper 50s for inland areas to upper 60s closer to the cost. Temperatures over the last week have run a good six to 10 degrees below normal for early September, and I fear we’ve all taken this weather for granted. Because it’s not going to last. We should see one more fairly dry day, in terms of humidity, today. Under mostly sunny skies highs will climb to near 90 degrees, and most areas should see another cool-ish night with lows in the upper 60s. A more southerly flow resumes sometime on Wednesday, and that will return more typically September-like weather to the area. Not that we’re expecting any kind of extreme heat, mind you. We can probably expect mostly sunny days, with highs in the low 90s, and overnight lows in the low 70s. Not bad for this time of year—but the weather will pale in comparison to the last week. Some high pressure begins to build over the region heading into the weekend, about the same time that atmospheric moisture levels will rise somewhat. At that point it will become a battle between higher pressures (which promote sinking air) and the sea breeze (which generates lift) to see if we can squeeze any showers out. At most I expect 10 to 20 percent of Houston will see rain each day, and areas that do should only receive light accumulations. Highs will remain in the low 90s. A number of people have asked when the region’s next front is coming. The short answer is that high pressure ridging over most of the United States is likely to block the season’s second front for at least the next 10 days to two weeks. Sorry! I’m from Houston, but live in Nashville and follow you religiously. My family are all in Texas. Thank you, thank you for all you do! You kept my heart calmish through Harvey with truly what was happening without the fear and hype of the tv. I missed the call for a show of support but I’m commenting now. Your site is my go-to source of solid info without hype on our weather. I really appreciate what you do, especially during an event. I am new to your blog, but have become fairly addicted since just before Harvey. I really appreciate your honest but caring approach and the lack of hype! You’ve strengthened my interest in weather! Your site was recommended by friends during early Harvey, and I’m a fan from here on out. 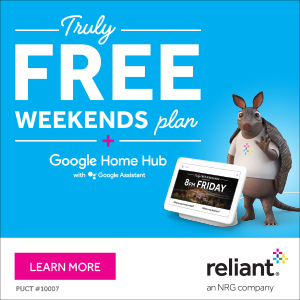 Thank you Reliant, too. You have new respect and support from the community because of your backing of such a common sense, dependable site. I’d love to “like” your website, but I don’t do Facebook. Is there some other way to commend you to Reliant? I also missed the call for support, but I must say you guys are life-savers, literally! Thank you for your calm, reasoned, and intelligent reports. Reliant should be proud to offer continuing support to your efforts. I hope other sponsors back you as well. Thank you! Any word on Jose? Last I saw the euro model was showing it going towards Florida. I have absolutely LOVED this weather!! Haven’t put the top up on the convertible since the storm!! What amazing mornings!! SO cool, with just a slight breeze! The puppy and I love it!! 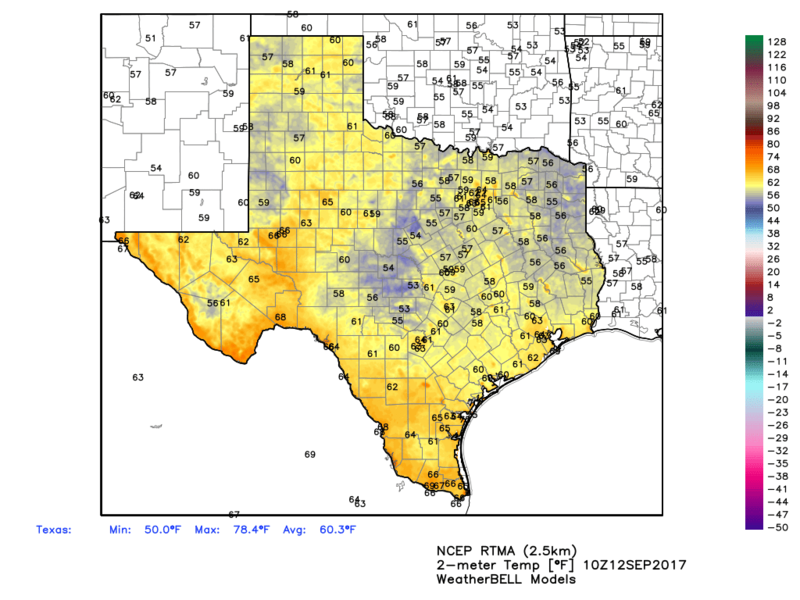 “and after Hurricane Harvey, WE’VE CERTAINLY HAD ENOUGH OF THE TROPICS FOR A WHILE. ” Amen, brother ! I have noticed a coating of dust on our patio furniture since Harvey. Could this be some Saharan dust? Thank you!! I also failed to read the site on Monday to see your request for support. A friend on Facebook told me about this site right after Harvey hit us, and I’ve absolutely loved the thorough and no-hype coverage. I hope y’all will keep this up for many years to come. Thank you. Eric, do meteorologists have a weather-related reasoning why historically few hurricanes hit Texas after Sept. 24th? I started following your blog during Harvey (live in Austin) and then continued during Irma (I’m from SW Florida) and might have missed previously given reasoning for this phenomenon. Thanks for everyone’s hard work — love this blog’s clear, succinct writing that breaks down the information we need to know with an authentic voice. Eric and Matt – Great work all season! What were the highest sustained winds and wind gusts in the area during the storm? Thanks!